Way to go, Becky!!! She has just been made Perennial of the year for 2003 by the Perennial Plant Association. Well earned and well deserved. A tough long living Shasta Daisy. 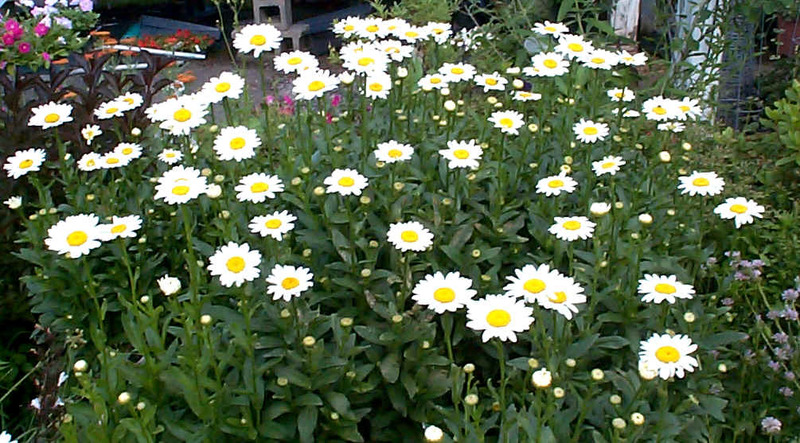 Large white daisies with yellow centers bloom in June and July over sturdy 30-36" dark green foliage. Great cutting flower. Removing the finished flowers help new flowers come. This plant is a vigorous grower and should be divided every three or four years to maintain it's size. Sun- Part Shade.